Guess the number of fish in 90,000 gallon Reef Tank and win a family membership! 11 a.m.-1 p.m. Ice Carving Demonstration- Near Africa! Click here for half price Zoo admission! Bring the kids to burn off some energy & beat the winter blues. 1/2 mile run at 9:15 a.m. Cost to run is $3 per child. 1 mile run at 9:30 a.m. Cost to run is $5 per child. Routes contained within Zoo grounds. Runs will not be timed. Teams and individuals welcome; all will receive a participation ribbon. Hot chocolate & a snack will be provided. Runners and one parent/guardian will be admitted into the Zoo for the price to participate ($3 or $5) only. Cheering sections receive half-price Zoo admission. 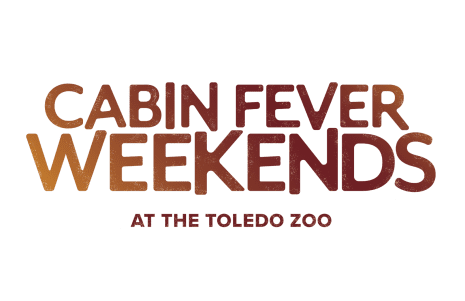 All are invited to stay after the run and enjoy the rest of our Cabin Fever: Not Monkeyin’ Around Day activities! Online pre-registration is recommended. Day of run registration will be available at the Zoo gates.